In the Summer of 2014 Errol Lee Fullen donated a large work of art to Mount Royal University. 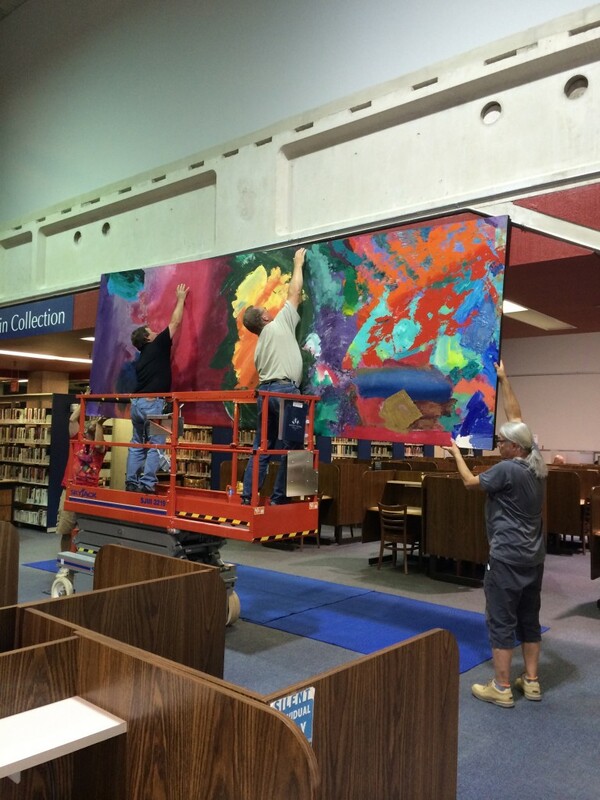 ‘Avatara’ (5.5’ x 16′ painting) has now been hung in the Library. The donation of Avatara contributes to MRU’s growing collection of original Errol Lee Fullen works of art and is currently on public display in the library. Other pieces include ‘By the Way and Song’ of the ‘Silver Brothers’ (both currently in the library), ‘Phoenix’ (outside the Moot Court), ‘Warm Sound’ (on loan to the Faculty Centre), and a variety of smaller works placed in the Department of General Education and the Academic Development Centre.